Let's meet in person! We have a booth at many shows around Southern California. Stop by and say hi. I sell my work to retail stores throughout the United States. I can put in contact with my sales reps in your area or I will give you access to my printed /online catalog and pricing information and take your order directly. Also if you have a sales rep you love working with and think my work would be a good match for them , please send me their name and area and I will reach out to them. Want to share photos of our tiles? 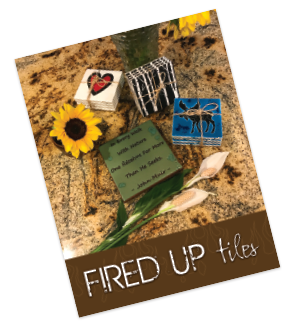 Use #fireduptiles on Instagram and please be sure your photos are publicly viewable.